Home » Travel » From the Top of the World: Switzerland! From the Top of the World: Switzerland! 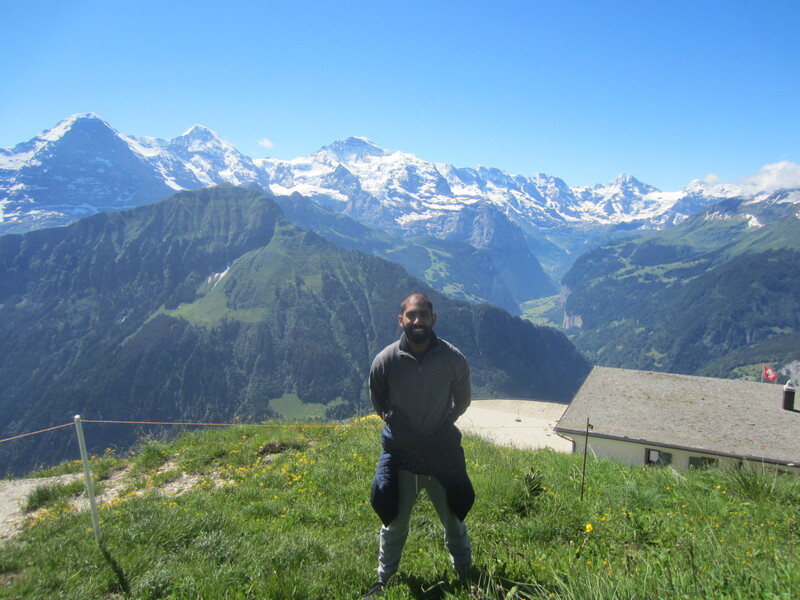 My name is Sean Menezes and as a member of the Experience Your Life team who truly believes in its values and principles I recently made a trip to Switzerland and absolutely loved it! It was a great reassurance that optimism and initiative are two essential skills for great opportunities! Before planning and booking my trip to Switzerland I had many doubts that it was not going to be possible due to never doing such a thing before, the financials and a lot of other “obstacles”. However, when I decided to commit and booked everything it became a reality. I flooded my mind with all the positive aspects of travelling and went for it! I had many options for my summer, I could have sat around at home and watched Netflix all day, hang out with friends doing things I usually do or plan a trip like this one. Reflecting on my journey I realized how important it is to take initiative to do things as no one else was going to tell me to go on a trip, plan it for me and get me there. When one wants something they have to go out and make it happen themselves and remember that there will be negative thoughts and people but they have to stay positive and optimistic. I can personally say that with these two traits the experience i got out it was well worth it! It’s an experience that I’ll never forget and treasure for all my life.